Bollywood stars and controversies go hand in hand, don’t they? The stars are already under immense scrutiny and in the age of social media, everything is out in the public domain. 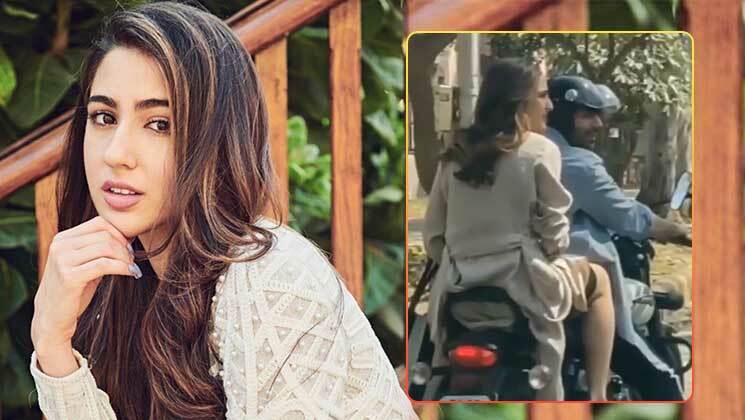 Now, actress Sara Ali Khan has found herself in trouble over not wearing a helmet. Yes, that’s right! This comes after a video of Sara Ali Khan and Kartik Aaryan enjoying a bike ride went viral on social media. The video was taken on the streets of Delhi, where the duo were shooting for Imtiaz Ali’s next, tentatively titled ‘Aaj Kal’. Now, Sara has landed in a legal mess as a complaint has been filed for not wearing a helmet during her bike journey with Kartik. On Tuesday (April 9), the Delhi police asked for details about Sara riding pillion without a helmet during her shoot in the capital. An anonymous Twitter user shared the video tagging the Delhi Police in his post. Sara Ali Khan is one of the emerging stars, but her act of wearing a helmet might be construed as a breach of rules.